After a dramatic week for the USA the country is ready to take to the polls to elect their next President. What’s dealchecker’s opinion? Don’t worry, we’re not going to get all political on you, we just think that after months of hard campaigning both candidates deserve a holiday, and we’ve come up with a couple of suggestions. Just like in a US election there are only really two candidates for each – and we’ve scouted around for some fantastic deals. In case you’re wondering why the deals include flights from the UK – that’s so you can enjoy a presidential-style holiday yourself. After all, it’s not like the real Mr President is going to get a break in the coming months. The Obamas have holidayed in Florida before but we reckon they’d be tempted back by this multi-centre deal to Orlando and the Gulf Coast we spotted on sale at Flight Centre. Orlando is obviously a family favourite destination what with all the theme parks. You’ll get three nights at the Doubletree by Hilton in Orlando to fit in as much time as you can at Disney World, Universal Studios, SeaWorld et al. Then it’s on for two nights in Clearwater, a popular Tampa Bay destination where the Obamas can relax on the award winning beaches. 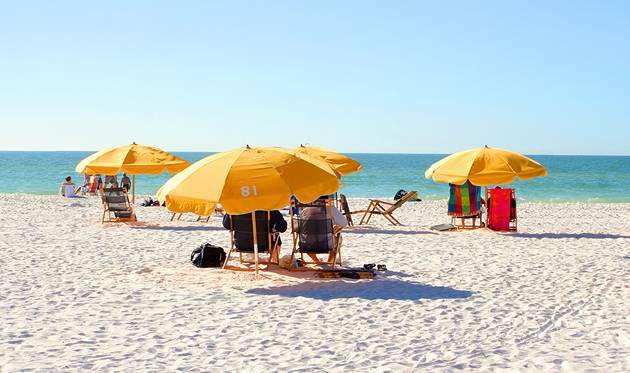 Final stop is St Petersburg, with accommodation right on the beach at the Tradewinds Island Grand – but easy access to city facilities. All hotels are four-star (we wouldn’t put a president in anything less) and the deal includes car hire for seven days and return flights from the UK with Virgin Atlantic. Prices start from £715 per person based on 2 adults and 2 children under the age of 12 sharing. Barack Obama hails from Honolulu in Hawaii and rumour is that the Obama family plan to take their Christmas holiday there this winter. 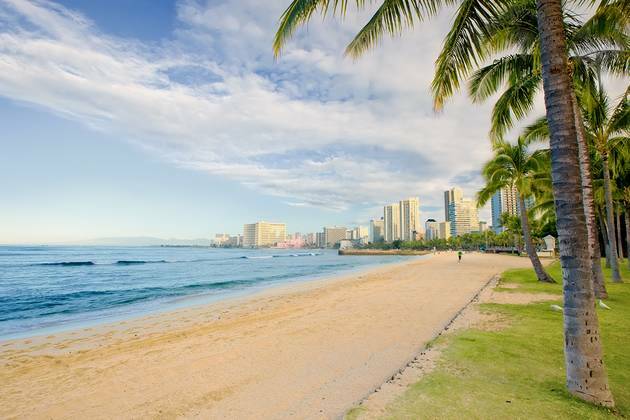 In case you fancied joining them for a taste of tropical Hawaii we’ve spotted that Virgin Holidays have taken up to 24% off a seven-night break at the four-star Hyatt Recency Waikiki Resort and Spa. Prices now begin at £1,115 per person including flights from the UK. It’s available for selected dates in late January 2013. Golden Waikiki beach is on Oahu island, so you can drive to the city Honolulu, and visit the north shore to see the impressive surfing – the winter season is when the biggest waves form. But if you’re going all that way you should check out a couple of the other islands too. The Hawaii Volcanoes National Park is set on the Big Island of Hawaii, and Maui is the best location for humpback whale watching, they’ll be visiting too between December and April. We know that the Romney clan are fans of the southern California holiday. Back in 2008 the Romneys purchased a holiday home in La Jolla, an upmarket enclave of Southern California. If you also fancy seeing what a beach holiday in this gorgeously sunny part of the world is like then how about a tour around Los Angeles Beach & Palm Springs? Flight Centre have a multi-centre holiday with four-star accommodation, five days car hire and a rather fine £154 saving! 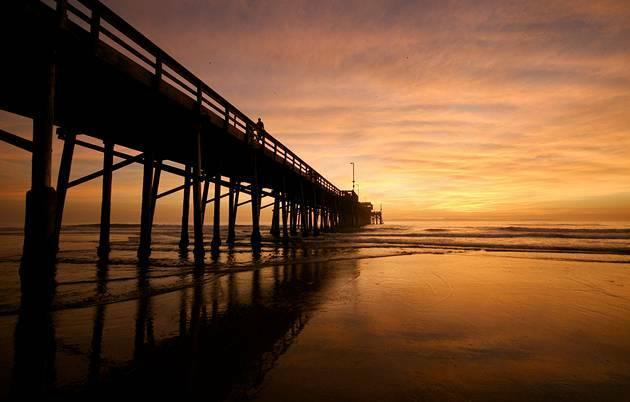 This holiday begins by relaxing on Newport Beach, where you can get into the southern Californian lifestyle or head into the city to see Hollywood and prestigious Rodeo Drive. It all that seems like a lot of effort, well then you can unwind some more at the Riviera Resort & Spa in Palm Springs, a lush oasis-like desert resort and popular retreat for LA residents. Whilst both presidential candidates favour US destinations for their vacations, we did think that the Romneys would also suit to an idyllic beach getaway in the Caribbean. 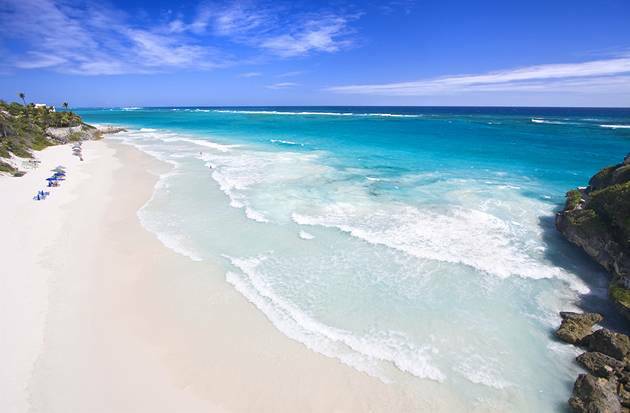 Enter Barbados – with plenty of prestigious hotels perfect for a president. The crane resort and residences are one such option; this five-star complex is Barbados’ original resort hotel. All that heritage remains, along with the latest in luxury – the hotel is all suites, with a dramatic cliff-top location and an elevator directly down to the incredible pink sands of Crane Beach. The Holiday Place have this amazing destination on special offer: Stay for a week between now and 31st March and you can get three FREE spa treatments and two FREE dinners for two adults. Plus there’s £300 per person off the price. Holidays begin at £1,289 per person including flights with Virgin Atlantic and accommodation in a Junior Suite with a garden view.